We are renowned engaged in offering higher quality Hexagonal Head Bolt. 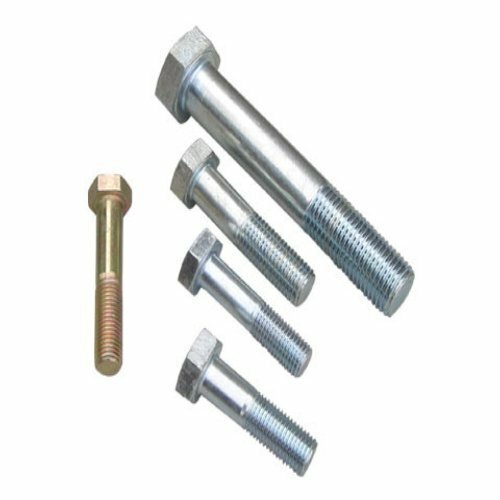 At par with the industry prevalent norms, the provided head bolt is manufactured by our highly experienced workforce from the finest grade basic material. Our given head bolt is inspected on various quality parameters in order to deliver a flawless range. In addition, customers can avail this head bolt from us in various sizes as per their varied demand. Grade: 4.8, 5.8, 6.8, 8.8, 10.9. Packaging Details bulk packing into 20-25 kgs carton boxes then wooden pallets. Small box packing can also be provided at extra costs. Established in the year 2014, Vridhi Exports Private Limited, is known for exporting and manufacturing a wide range of the finest quality of Pipe Repair Clamps Crab Type & various fasteners including bolts, nuts, washers, clamps. Their accurate dimension, thermal stability, high anti-corrosive property and durable construction, makes these clamps & fasteners highly demanded in various fastening & repairing applications. In addition to this, these are available with us in various sizes and designs that best suits the requirements of our valuable customers in the most efficient manner. We export our products in Europe, UK, USA, RUssia, Middle East apart from strong base in Domestic market. The premium quality of the offered Clamps & fasteners is checked on various parameters such as durability, sturdiness, tensile strength and resistance to corrosion, to ensure high standards of quality. Timely delivery of the offered range of industrial fasteners is assured owing to our high production capacities and highly skilled logistic professionals.